Triminator Dry Trimmer Kief Kit - ON SALE! - FREE Shipping! Increase your productivity by adding the Triminator Kief Kit to your Triminator Dry Trimming Unit! This new accessory can quickly turn your dry trimmer into a keifer. Made from a durable 304 Stainless steel, the drum core can handle whatever you're sending its way! Using the Turn-loc technology (made from 6061 Aluminum), switching the drums out is very easy! The kit also includes a BPA-Free plastic tray that is compliant with FDA food standards, so you can confidently collect your product worry free. The process works by tumbling a mixture of CO2 ice and trim material. The extreme cold and tumbling action in combination with micronic screening separate the cannabis resin glands from the plant material. 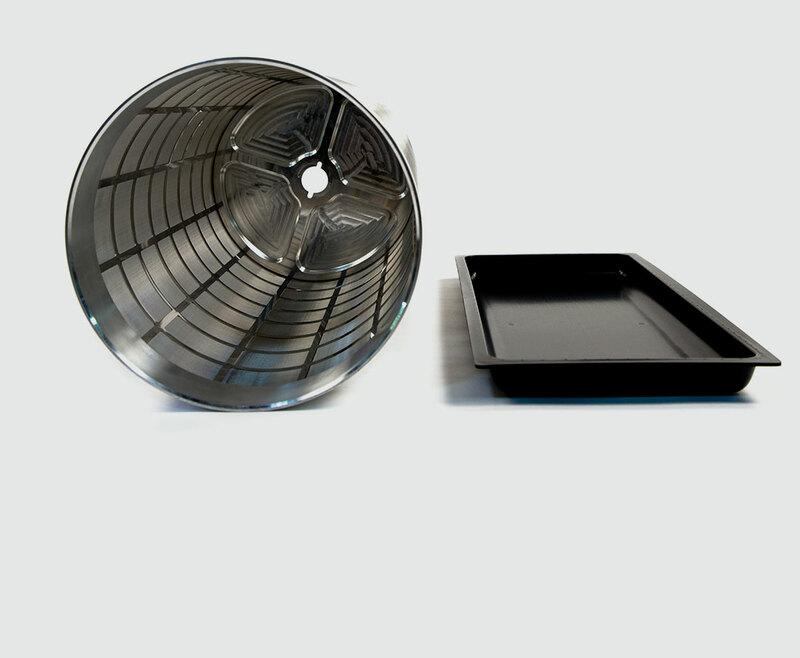 The keif or pollen is collected in a catchment tray which is attached to the bottom of the machine. FDA compliant plastic for use in food processing. BPA-free.